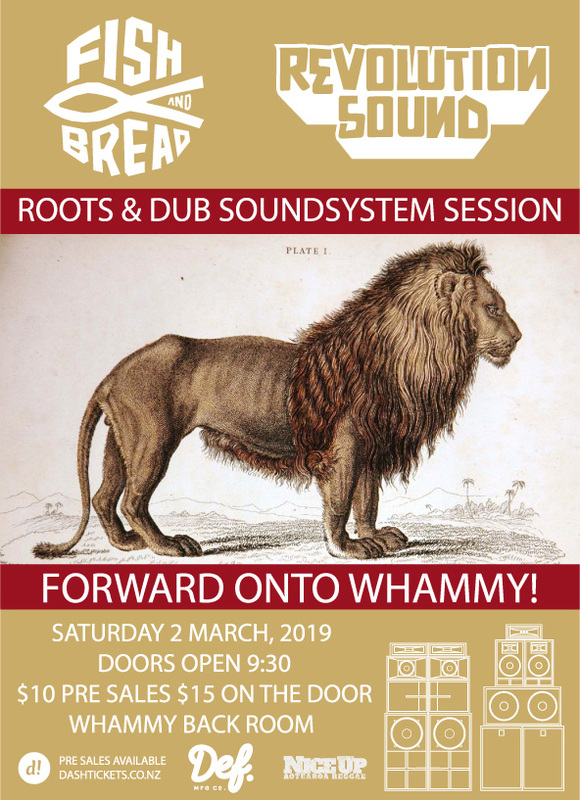 FISH & BREAD SOUND SYSTEM meets REVOLUTION SOUND at the WHAMMY BACKROOM on K'RD. TWO SOUND SYSTEMS, TWO SELECTORS, and a lively showcase of DIGI, DUB, ROOTS & STEPPA'S. An easy $10 PRESALE at DASH, and $15 on the door. BIG UP TO ALL MUSIC LOVERS!